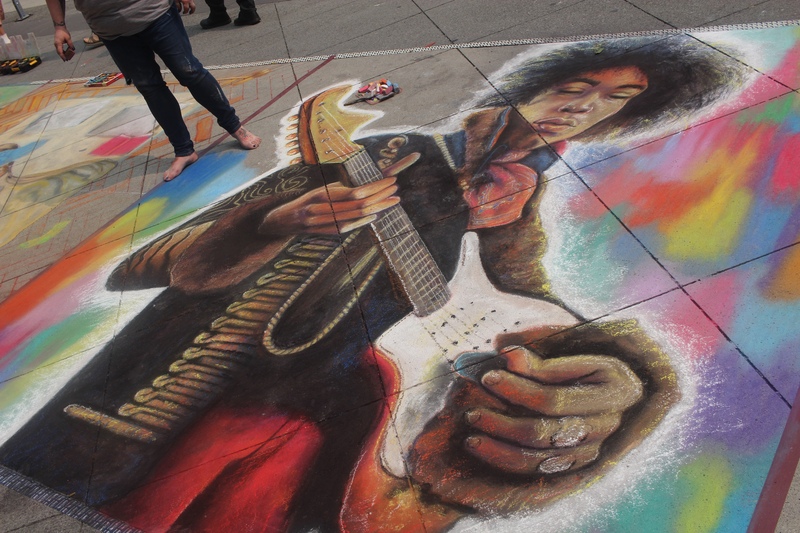 Last weekend, many chalk artists got down and arty in Seattle, for the 2018 Belltown Chalk Art Festival. 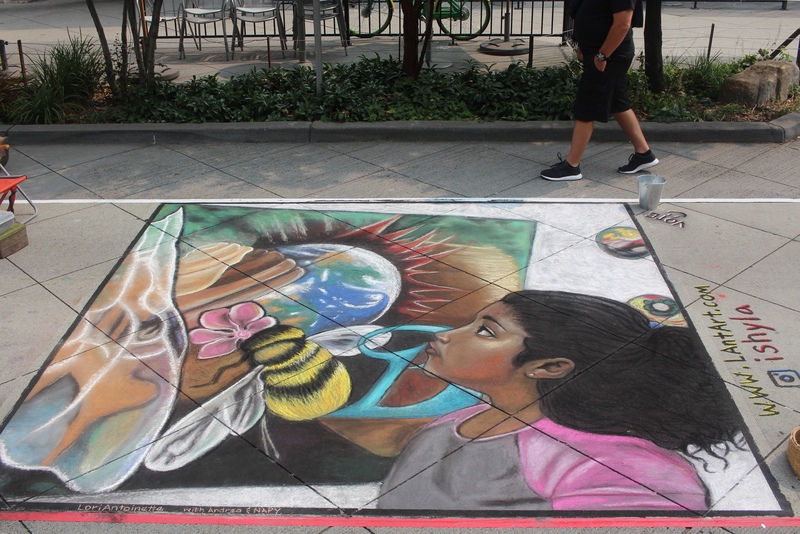 This exhibition of professional artists busted out some fancy chalk sticks of many colors, to create large murals for two days directly on the Bell street pavement. Add music, open areas for folk of all ages can join in, and voting participation…and we got a cool, free show open for the public to enjoy. I meanwhile, caught a bit of this on Saturday, on my way to a little lunch date. 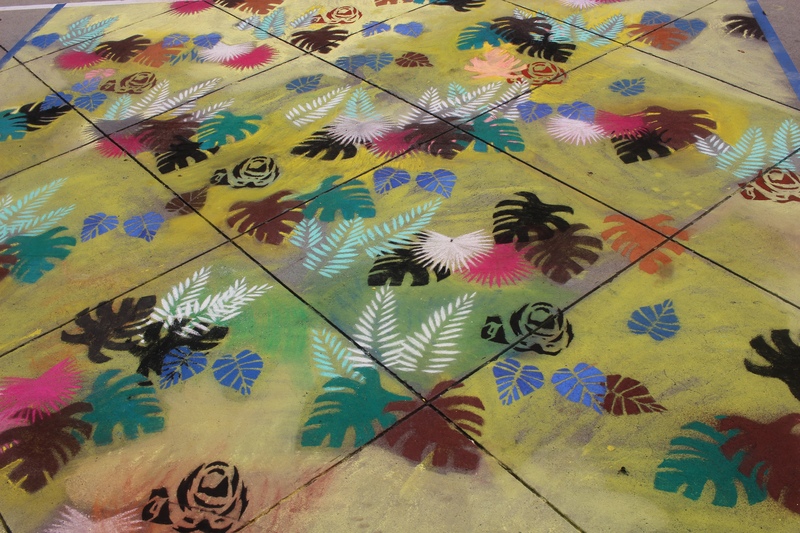 I saw early stages of work, piquing my curiosity for the finished work. The came back on Sunday, to see some awesome progression. 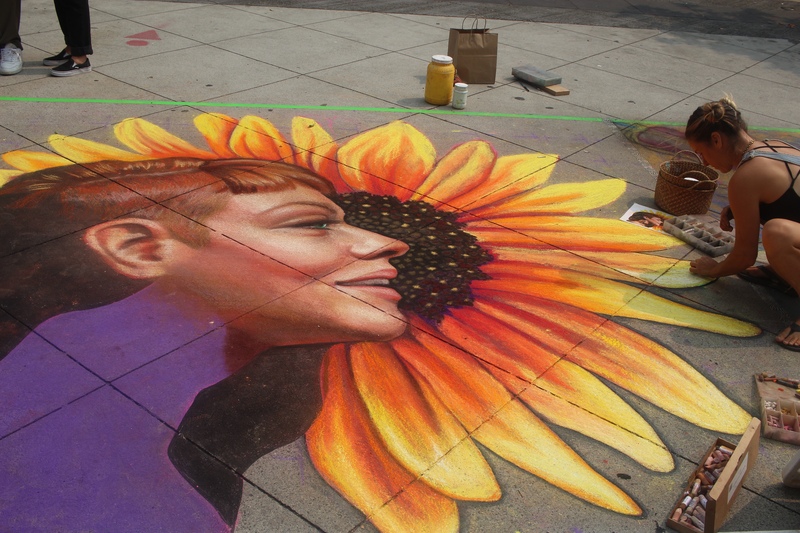 There was something special to these chalk artists, to see their dedication in action, with every stroke and brushing for all to see in each step. 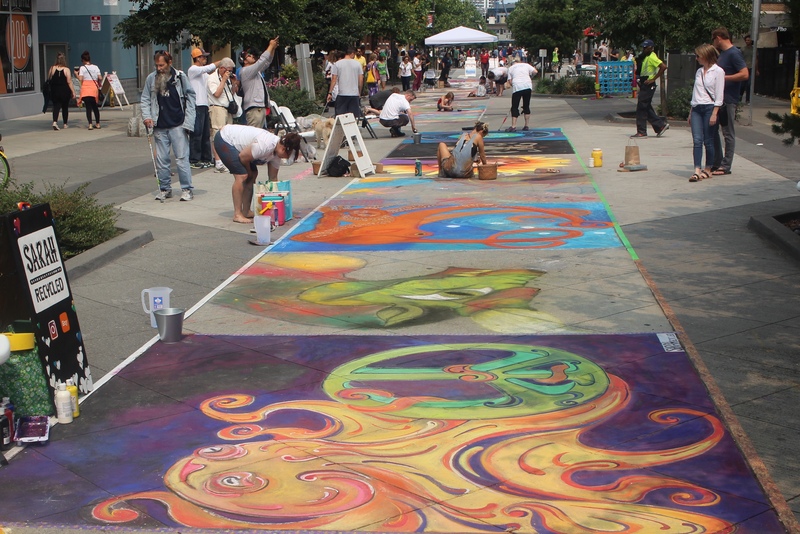 To witness each piece in development on this grand scale, is a special show to behold. 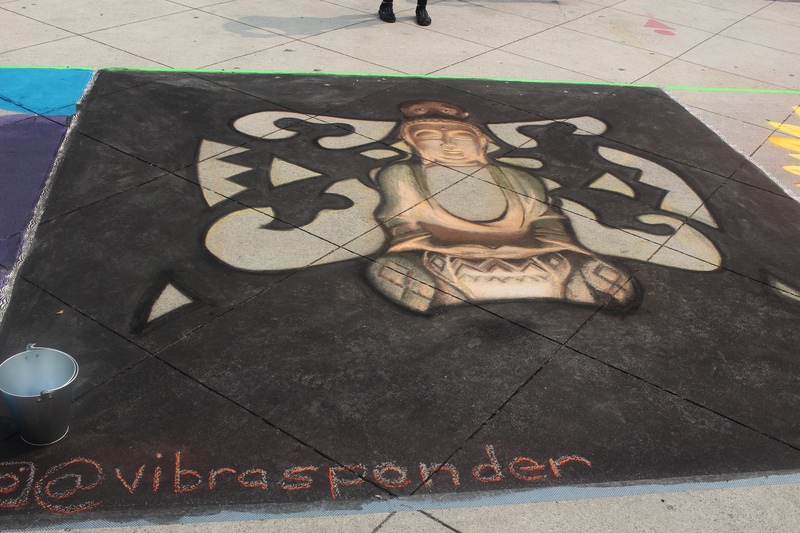 And, I also talked with a new friend among the chalk artists, Raziah Roushan. 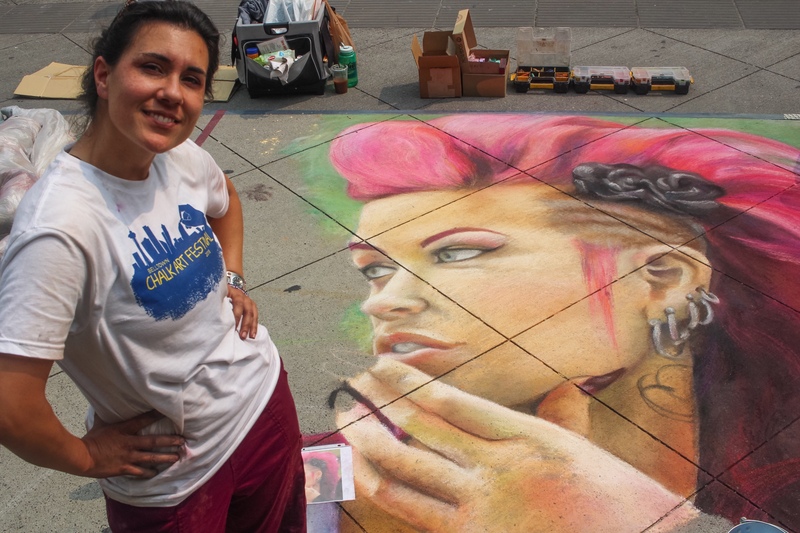 Here, Raziah posed with her latest work in Belltown, inspired by a photograph she came across. 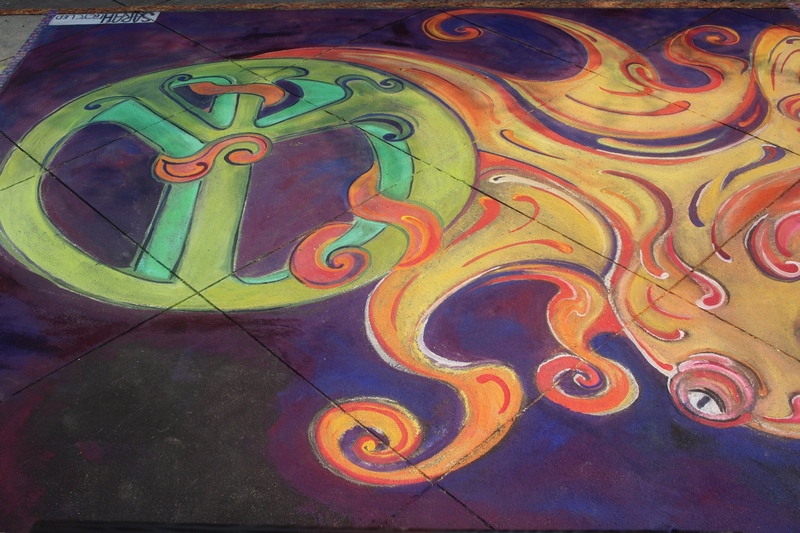 That was not all, or even close, as there were more amazing chalked work, of which I was either too early, or missed on getting some linked info. 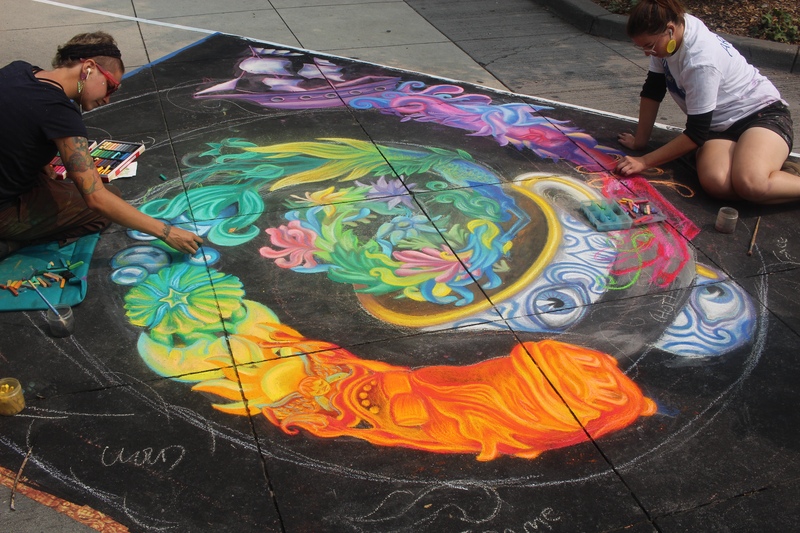 Meanwhile, more chalk art festivals are happening around the world, with one maybe near you. 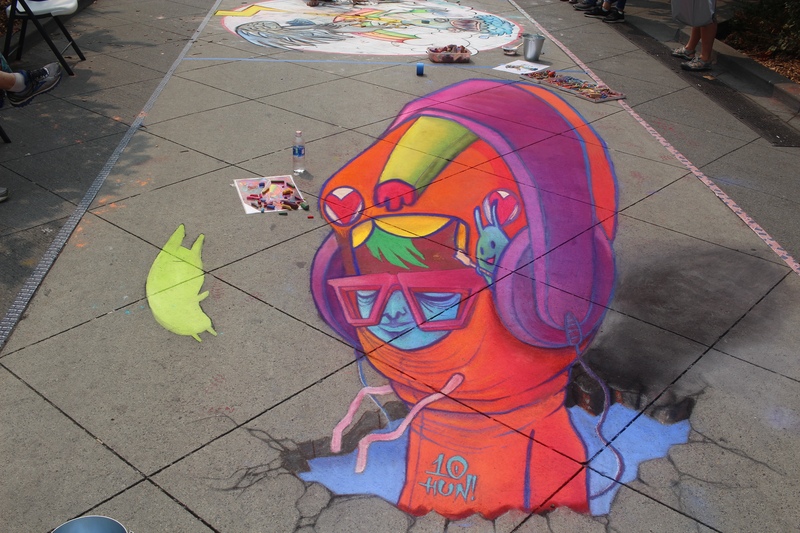 Keep a look out for one, than see for yourself some awesome art in action. 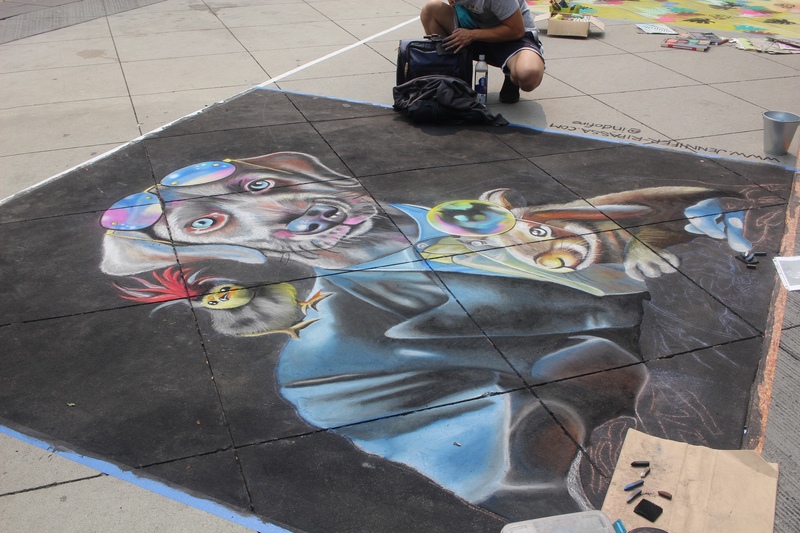 Posted on August 14, 2018 by Orion T.	This entry was posted in Art, Photography, Seattle and tagged art, chalk art, festivals, Seattle, street-painting. Bookmark the permalink.